Marion Haerty crowned World Champion before the final! 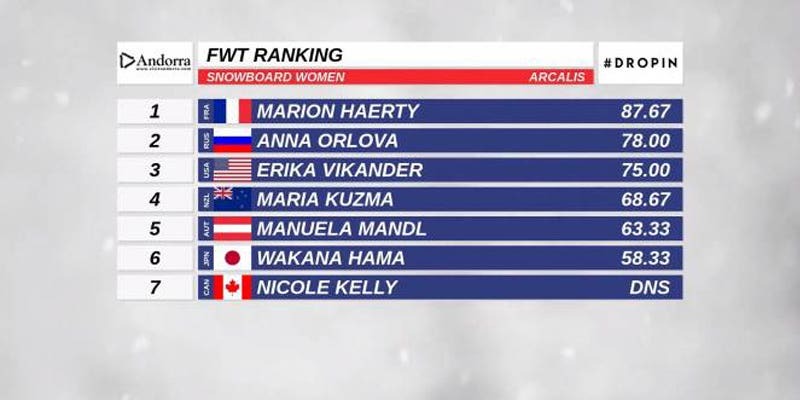 The snowboarder Marion Haerty in Andorra, is taking the win for the third time this season. But the most important, she's now officialy the new World Champion event before the final in Verbier. She must not forget this day! 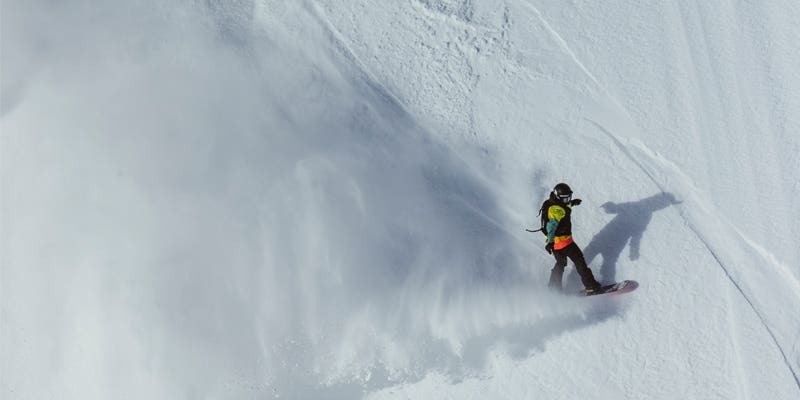 On this 4th round of the Freeride World Tour, she was aiming for the victory. But not an ordinary victory, in case of win, she will be the new Freeride World Champion even before riding the famous Bec des Rosses in Verbier. The die has been cast. Marion is doing the show, choosing an engaged line and riding with so much fludity. The result is here, 87,67 points! It is the consecration for the frenchy, she takes the win and at the same time, the World Champion title, as the second Anna Orlova is now too far. It is the second title of her career, after the first one in 2017. Next season will be the occasion to involve it once again, and who knows? Maybe writing a new chapter of the feminin snowboard history and win a third title.